Quiznos is open of the biggest sandwich chains in the world. Times have been hard and it is not the mighty brand that is once was. Still, there are over 1,000 locations around the world and these are performing very well, selling low-cost toasted subs, snacks, salads and soups to customers from the United States to the United Kingdom and countless other countries in between. Quiznos has taken a few big hits. But it’s not down yet and it’s going to take a lot more to destroy this popular sandwich chain. The Quiznos chain is here to stay and it will remain for many more years to come. The Quiznos secret menu is not the biggest or the best, but the Quiznos menu is more than big enough to cater for your tastes. The menu prices are also very reasonable and if you know what you’re looking for, you can even dodge those fatty, high-salt meals that sandwich chains are so notorious for. Jimmy Lambatos and Todd Disner opened the first Quiznos location in Colorado in 1981. Lambatos was a chef, and was therefore not a stranger to the kitchen. He was able to turn a profit from selling submarine sandwiches that were toasted and prepared in a slightly different way from the competition. It was in this location where the Quiznos brand grew. It was here where the founding partners created the signature sauces, sandwiches and cooking styles that would follow the chain around for the next few decades. They began franchising after a couple of years and within 5 years the 12th store opened. A few years later, the company was purcahsed by one of those early franchise customers, at which pint there were a total of 18 locations. 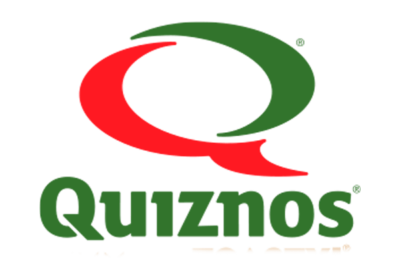 Under new ownership, Quiznos was able to grow at a much quicker rater. It offered an IPO in 1994. In 1997 it became one of the largest chains of its type in the world with just under 300 locations. And within 10 years, that number had sky-rocketed to over 5,000. There were locations across the US and all over the world and the future was bright for Quiznos. But there were dark times ahead and the Quiznos of today is decidedly different to the Quiznos of a few years ago. Fast food chains live and die by their franchise model, and Quiznos has struggled in this area. While chains like Five Guys, Jimmy John’s and Pizza Hutare still expanding at a great pace, Quiznos seem to be going backward. In 2003, it was reported that a quarter of all their franchises were failing. This kick-started a media storm that turned many other franchises against them. Not all franchises are destined to succeed, even with a big company like this. However, the figures put forth by Quiznos were astonishingly low, much lower than the 4% or so rate of failure that their rival’s Subway experienced. There were more than 5,000 Quiznos locations at the peak. This number has since nose-dived and as of 2016 there are just over 2,000. Quiznos seem to have stopped the rot somewhat. But they still don’t enjoy the levels of success enjoyed by rival chains Subway and Jimmy John’s. As mentioned above, Quiznos once had 5,000+ locations, only for this number to drop by more than 60% in a decade. They have developed somewhat of a bad name with franchisees in the US and this is where most of their struggles have been. The number of active Quiznos locations is not easy to grasp, as it seems to be dropping year after year. In 2013, there were around 2,100; in 2015, figures suggest that the number was just 1500 around the world, 900 of which are in the United States. A lot of this downturn has been pinned on the recession. And there is no doubt some truth in that, but other chains have managed to flourish through these dark times and it seems that this chain’s issues lie elsewhere. The company has set some wheels in motion that may be able to turn things around, and there is still a lot of revenue passing through the chain. However, it could be some time before they start experience solid growth again. 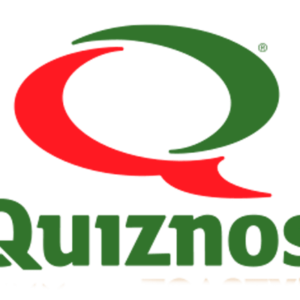 The Quiznos menu is quite extensive, much more so than many of their competitors that focus more on speed and service than they do on variety. There are a selection of toasted subs, salads, wraps and more to enjoy, and you can also get soups, desserts and more. The main subs include Deli Subs, where you can choose from a selection of cold meats and cheeses; and Steak Subs, where hot steak is served in several different ways and with several different extras. There are also Chicken Subs, Turkey Subs and Pulled Pork Subs. Quiznos has a kids menu, although there are only a couple of options to choose from. There is also a selection of drinks to enjoy with your food. The Quiznos menu is extensive, but the same can not be said for the Quiznos secret menu. Unlike the Subway secret menu and the Jimmy John’s secret menu, which both offer a number of extra choices and extra ways you can order, the Quiznos secret menu doesn’t have much to offer. We have talked with servers and managers and we have asked countless customers. Because of all of that, we have managed to put a little Quiznos secret menu page together and one that’s well worth checking out. You don’t have to load-up on steak, butter, cheese and thick, creamy sauces. There are plenty of healthier options to choose from, and Quiznos can also cater for people who are on special diets, whether they’re vegan, vegetarian, nut-free or gluten-free. Such is the beauty of an extensive menu and a large chain. Just make sure you know what’s in the food you’re ordering, as there may be some extra fat, sugar and salt in places you wouldn’t expect. On our Quiznos Nutrition Info page you can see all of this information on all Quiznos menu items. Quiznos prices are in line with the Subway menu, and just a little less than what you would expect to find on the Jimmy John’s Menu. The prices vary depending on your location, but in the United States you can get a small sub for less than $6. It doesn’t cost much to increase this if you prefer a large, and you won’t pay a great deal extra for different fillings. There are salads and wraps that cost anywhere from $3 to $7, and there are also desserts and soups, which are some of the cheapest options on the menu. A bag of chips, for instance, is less than $1,50, which is about the same you will pay for a Fudge Brownie and one of their cookies (there are several flavors available). There are no set hours for Quiznos. They tend to different depending on the region and the country. Some stores open at breakfast and shut around 5:00pm, others remain open until late in the evening. Check in with your local store to determine the hours. If it is located within a shopping center, you may also want to check the times of the center, as most of them will simply stick to those hours.